Hello lovelies! My school's pro bono week is coming up so I felt festive and thought I'd write a post about it. Quick refresher- pro bono is basically legal community service. My first school didn't require any pro bono hours to graduate, but my current school does. My 1L year I knew about various pro bono opportunities but didn't really take advantage of any until my 2L year but then I made up for it and logged over 70 hours within a year. Obviously you don't have to do much, but I do feel like it looks really great that I can list that as an involvement during my law school career because law firms really like people who give back. I highly encourage y'all to get in at least some pro bono hours but also seriously consider going above and beyond any required hours. The good news is that programs always need help so you shouldn't have a problem getting your hours in once you decide where you want to volunteer. Pro bono is a great way to get some real legal experience and pick up some legal skills to help you be a more desirable job candidate. Plus in an interview you can connect your pro bono experience to the job you want to slyly humble brag on yourself. 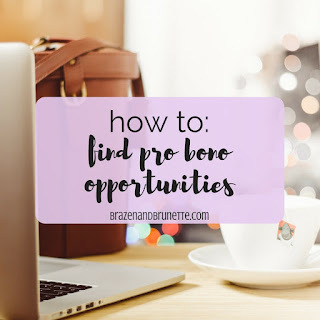 So without further ado, here's 6 ways to get your pro bono hours in! This is what I do so I thought I'd just start off with this. Here's how it works— a pro se party will come to our website looking for answers, if that party can't find the answer then there's a little chat box that they can click on, I'm on the other side of the chat kinda like customer service and try to help them. Most of what I do is like someone will come to me and say that they aren't ready for their court date and need to postpone it, and then since I've gone to law school I know that the technical term that they're looking for is a "continuance" so I go to our website and find the page with information about what a continuance is and the form they can fill out to request a continuance and then send that back to them. It's really easy because you're just taking your legal knowledge and using it to help someone figure out what it is they need. Sometimes people will get on to the chat and they'll just tell me this big long story so I have to figure out what exactly their problem is and what it is that they'll need to solve this problem. Because it is a chat, people can easily leave if I take too long to respond or I don't send them relevant information, so it's really helped me learn how to give them as much information as possible without overloading them so that they have what they need before they log off. And as soon as people find out that you're in law school, they'll come out of the woodwork asking you for legal advice. Technically as a law student I can't give them advice but what I can do is the exact same thing as my chat and if a guy wants to know how much he's going to owe his baby mama all I do is just send him the link from our website about child support. If you're interested in doing something like this, just go to this website, click on your state, and see if your state offers a website like this. Then just either find on the homepage where it has information about volunteering with them or just email them and offer to help. Most decent-sized cities will have at least one legal aid center to help out pro se parties. Most likely what you'll be doing is client intake where you'll get more information about the person and their problem to make sure that first of all they even qualify for legal aid. If you can't help them, then it's your job to refer them to a place that might be able to help them (see above example). If they do qualify, then it's your job to find out as much information as possible so that the lawyer who eventually will be working on this case will know what they're getting in to. Besides intake, you might be able to actually help one of the lawyers by looking up cases or statutes as they need it. This is a great opportunity because client intake is a wonderful skill for a new lawyer to have and you can really sell yourself talking about this in a job interview (side note, always find a way to bring up your experience volunteering as giving you skills relevant to the job you're applying for). And any new lawyer will also tell you that your legal research skills are going to need to be spot on for your first few years out of law school. If you're interested in working with your local legal aid then visit this site, enter in your zip code and find where the nearest legal aid center is. I advise that you call or email them before hand and let them know that you want to volunteer because some days may be better than others and it will give them a chance to think of any projects that you might be useful for. If you show up to a court and tell them that you'd like to do some pro bono service with them, I'm sure they'll find a place for you to help. Most parties in a small civil case won't have a lawyer so they'll be showing up at the clerk's office needing advice and you can be there to help. This will give you a chance to work on interacting with pro se parties and give you some insight into the usual obstacles they face, which is a great skill to have. You can work on listening to their dilemmas and figuring out what their problem is. Another use you might have is helping judges with anything from doing some research or helping update files. Court houses are a great place to volunteer because you'll get to network with different lawyers and judges and learn more about the inner-workings of a court room, because you don't want your first time to ever even step foot into a court be on the first day of a trial. If you don't know where to find the closest court, just go to this site and enter in your zip code. It also has a place where you can choose what type of court to go to, so for example if you want to be a tax lawyer than bankruptcy court might be the most relevant for you. There's a lot of different options here that I'm just going to group all together. First off, you have just any ol' law office. My warning to you is to be careful with this because like with my school, a law office just taking advantage of free labor doesn't count and instead they require you to only help with a pro bono case that the firm is already working on. But still, if you just cross-check between your school and the firm, this could be a great option because you're getting real-world experience working with a real case while also getting your name out there in the legal field. Next up is public defender's offices. Poor public defender's offices are always so swamped and can always use a lot of help. The good thing about going with them is that there's a good chance that they'll be so far behind that you'll probably get to be more involved in a case. And if you start on a case as a 1L or 2L, there's a good chance that you'll still be around to sit in on the trial, which is a great privilege! Another law office that can usually use help is your state's Attorney General's office. These get swamped with child support and consumer complaint cases and can also use a helping hand. I actually was going to get to extern there for credit my 2L year if I'd stayed at my old school so I was really disappointed on leaving them. AG offices are another good place to hang out and get your name known. 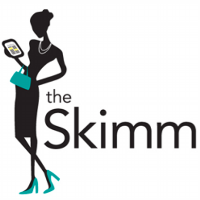 Even non-law offices can be a good resource! For example, I work for my county's dispute resolution office and this summer we had law students come up and get pro bono hours through us. We handle a lot of divorce and custody mediations and almost all of the people that come to us are pro se, so we have little family law handbooks that we give them that has the main laws they'll need to know. The students would take those and check the case law and statutes to make sure they're still good law and update what was outdated. You can go to your own DRO or drop by a court to see if there's any departments like that which could use some help. There's a good chance that either your law school or local legal aid center (or both) will host some clinics that they always need volunteers for. Some examples are: income tax assistance, writing wills, helping veterans with their legal issues, helping homeless people fill out the proper forms to get identification so they can get enrolled in government benefits, helping people sign up for medicaid or other benefits, expunging criminal records, filing protective orders... you get the gist. Hopefully your school will be sending you information about how to get involved with one of these clinics. They're usually only a Saturday at a time, but you can check to see if there's any ongoing ones where you can rack up a lot of hours. If all else fails, reach out to your school's pro bono director or a director of your local legal aid and see when the next clinic is being offered. Bonus points if you find one that matches up with what kind of law you want to do so that you can connect how that experience solidified that type of law in a job interview, but it's totally okay if you want to do criminal prosecution and end up helping draft a will because experience is experience. Just tread carefully with these because there is a difference between community service and pro bono service, so you definitely want to make sure that anything you help out with is on the law side. For example, here at my school CASA volunteering is a big thing (heyyy shout out to any Thetas reading this because this should be right up your alley). What they do is get trained (lots of hours racked up just there) and then are there for a child who has a legal issue. So like last summer I sat through a child sexual assault case and there was a CASA volunteer who stayed with the girl while she waited to come in and testify and during the whole trial the girl only would look at her CASA volunteer because it was a familiar, friendly face during an overwhelming trial. If you're interested in doing something like this, then visit CASA's website and see if there's a location near you. Sadly there's lots of children who are in a situation and can use a friend so they'll definitely have room for you. That's a very specific example, but there are other nonprofits and special interest groups who have a legal purpose and can find something law-related for you to work on if you just ask! Student organizations, your classmates, professors, and pro bono directors all will have different ideas of ways to get your pro bono in, so it's worth it to ask around and see what's available near your school.